Select Size11" to 15"14" to 16"
Black leather choker with 1 row of pyramids and a single hanging D-ring which is fastened in the center by a single rivet. 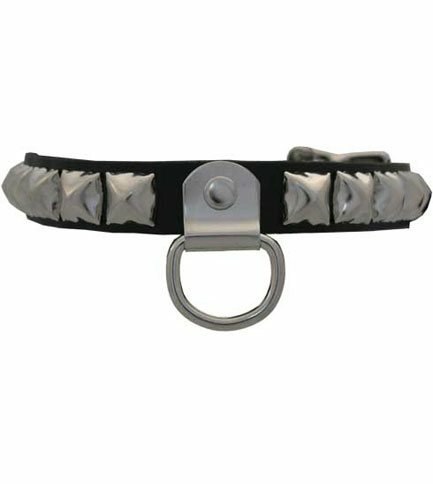 Adjustable by a buckle at 1 inch increments. Made in the USA.